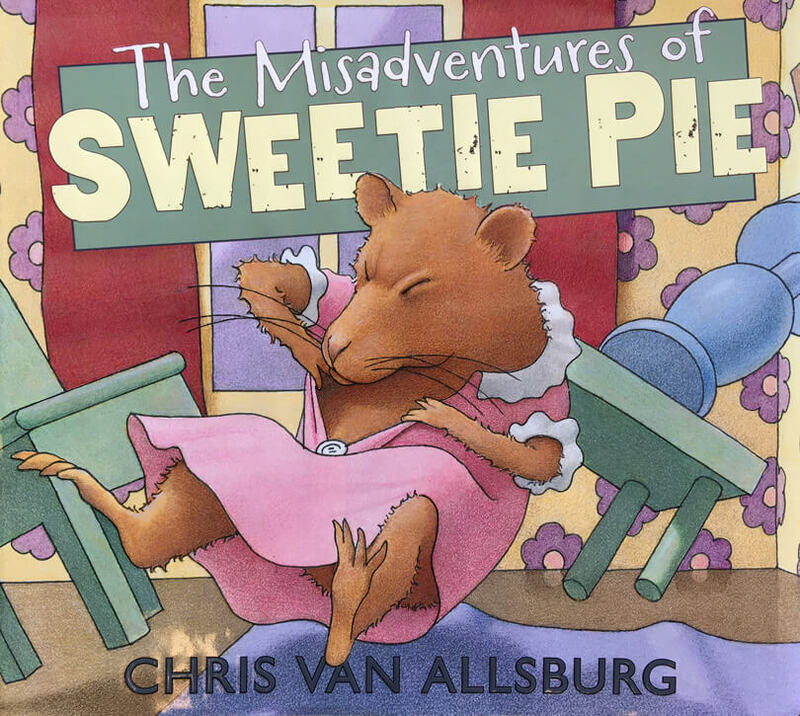 Yesterday I read my class The Misadventures of Sweetie Pie by Chris Van Allsburg. 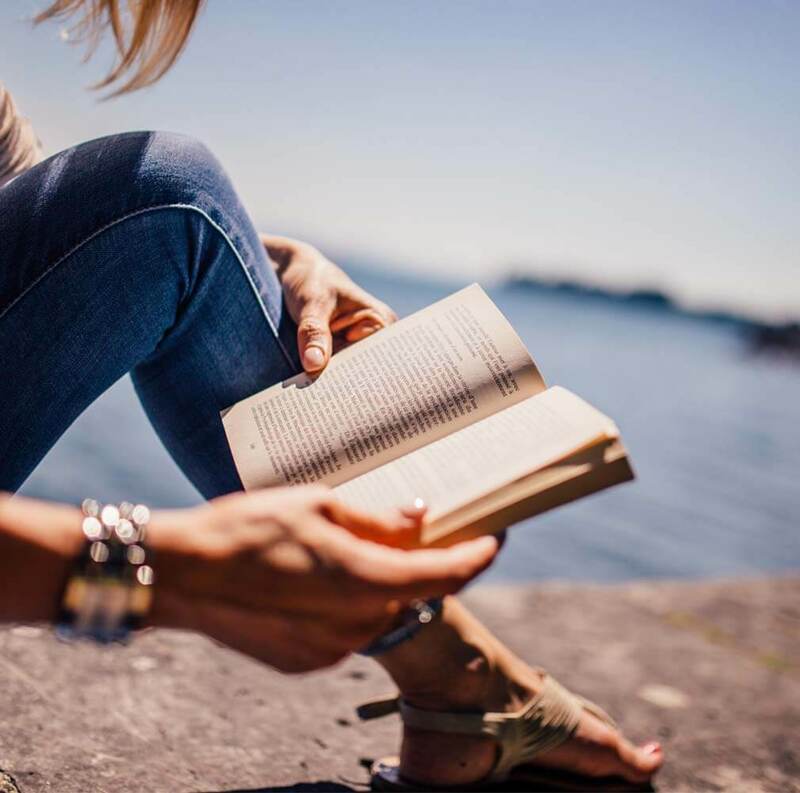 When I decided to write this book review and started to do a little research, I was very surprised to see how many readers didn't like it. And I mean REALLY didn't like it. Mostly because they felt that Van Allsburg's message was too strong and too sad for young children. I disagree with that outlook and I'll explain why further down! Opening Lines: "He's sooo cute!" squealed the pigtailed girl. The hamster had heard these words before. He'd once shared his home with a dozen friends. One by one, they'd all been taken away. Brief Synopsis: Sweetie Pie is the last hamster to leave the pet store and he's looking forward to his new home. Unfortunately, the little girl who buys him quickly grows bored with Sweetie Pie and soon sells him to a friend. He's subsequently handed off from child to child, with one disastrous adventure after another (almost being killed by a broom, a dog trying to attack him, rolling in a hamster ball right into a car) until finally he's forgotten and left in the snow. Fortunately, there's a happy ending. Why I LOVE and Recommend This Book: I know the synopsis makes it sound grim, and I won't deny it, my class told me the book was sad. Of course it's sad! Poor Sweetie Pie is mistreated, ignored and almost dies. But the story is told from the perspective of the hamster, a hamster who would like to live a free life, rather than a life where he's nothing more than a silly play thing for a variety of children. That's a worthwhile perspective and one that deserves to be heard. Many book reviewers criticize the story for being sad and dark, too horrifying for young children. But I disagree. Children can and should learn at a young age how to respect, love, and care for the animals in their charge. They also need to know what happens to those animals when they're negligent in their duties. it's important to read because it shows people how NOT to treat pets. That came from the kids themselves; not me. 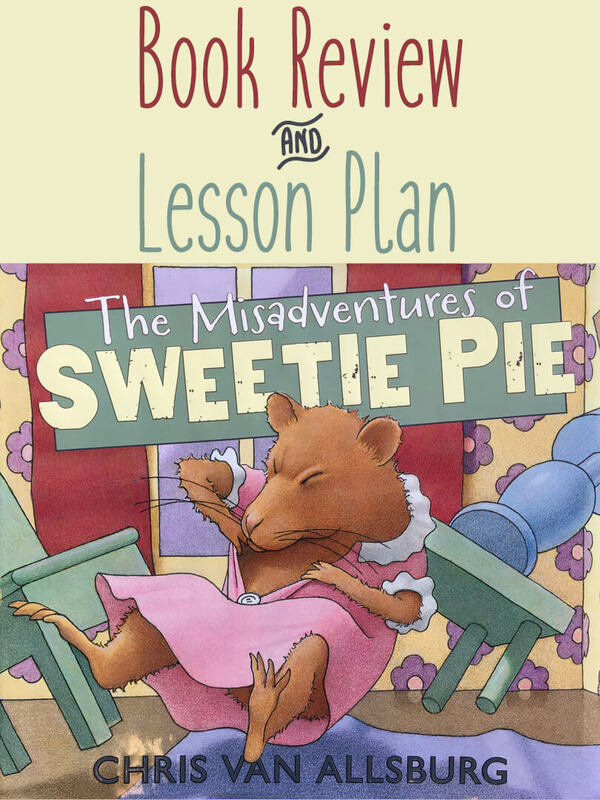 The Misadventures of Sweetie Pie deserves to be in every teacher's book collection. It helps to teach empathy; it encourages children to look at Sweetie Pie's life from HIS perspective; it shows them what happens when you don't look after your pets properly. 1. In this video, Chris Van Allsburg explains his thinking behind his story. It also shows some of the pictures from the book. 2. The Humane Society has lots of tips for caring for hamsters. 3. Grand Conversation (defined): This is something I've written about before, but I'm going to outline exactly what we did today. I read the book to my class on Wednesday. 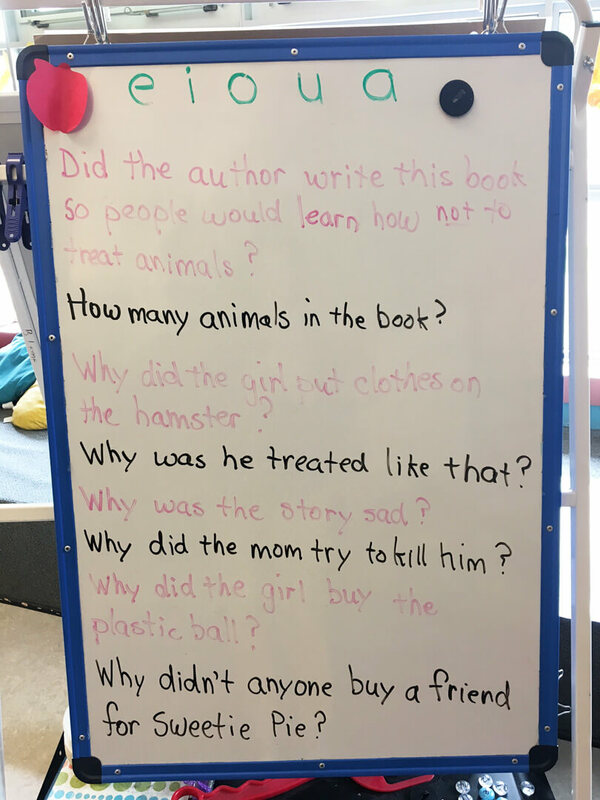 Thursday afternoon we had a second reading, but this time I told them to think about questions or wonderings they might have while listening to the story. At this point we went for a short run around the school (they'd been sitting for awhile). When we were all gathered again I asked them to sit in a large circle and I explained to them that I would read each question aloud and if they had something to say they could do so without first putting up their hands. I reminded them not to speak over someone else, and to take turns. This was meant to be a conversation, a discussion, and ideas were to be freely shared. My chatty, and sometimes hard-to-control-class did VERY well with this. They reflected carefully and thoughtfully about each of the questions. 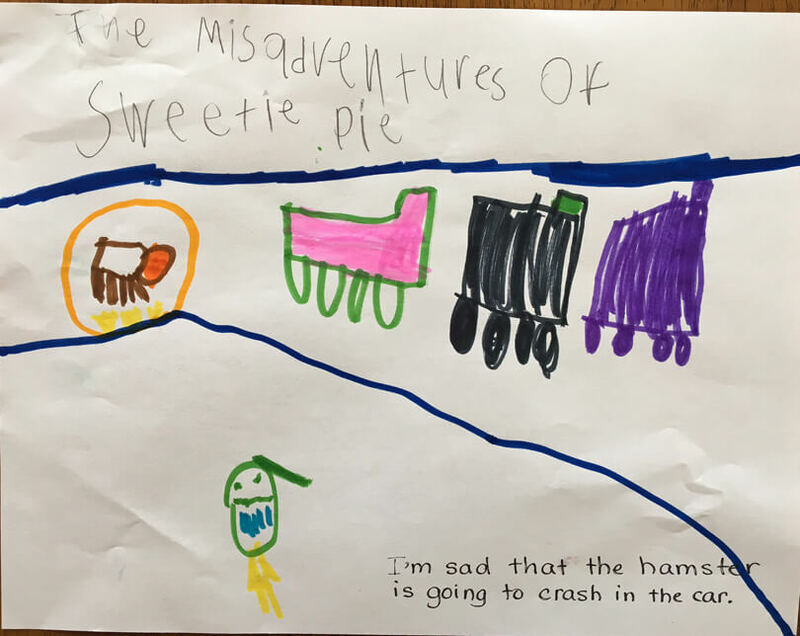 The over-riding theme of the discussion was that it was very sad the way Sweetie Pie was treated but that everyone was happy with the ending (even knowing that the ending was impossible because I explained to them that in real life Sweetie Pie would not have survived a night covered in snow). They unanimously agreed that Van Allsburg must have written the book to demonstrate how not to treat animals. They all thought that was a good idea and that kids need to learn these things. I asked them where they could learn this and they said from their parents and the pet store. 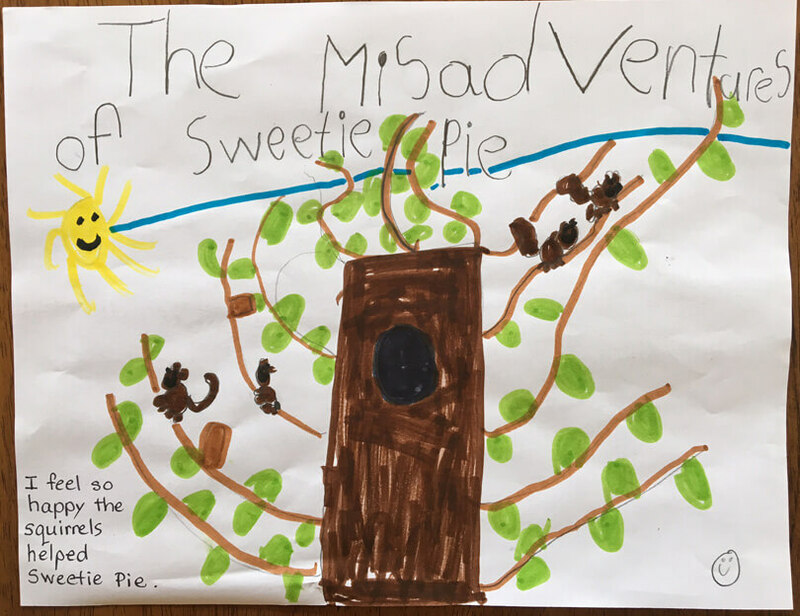 They got into a discussion about the various children who looked after Sweetie Pie and whether they were mean or just didn't know any better. Ultimately, their views on this remained divided. So there you go; my take on Sweetie Pie. I really do feel this is a worthwhile and important book to read with your children. Please check out DogFish, too. It's another great book that touches upon pet care. I'm linking up with Susanna Leonard Hill and her Perfect Picture Book Friday linky. Be sure to check out the other great stories. Love this author! 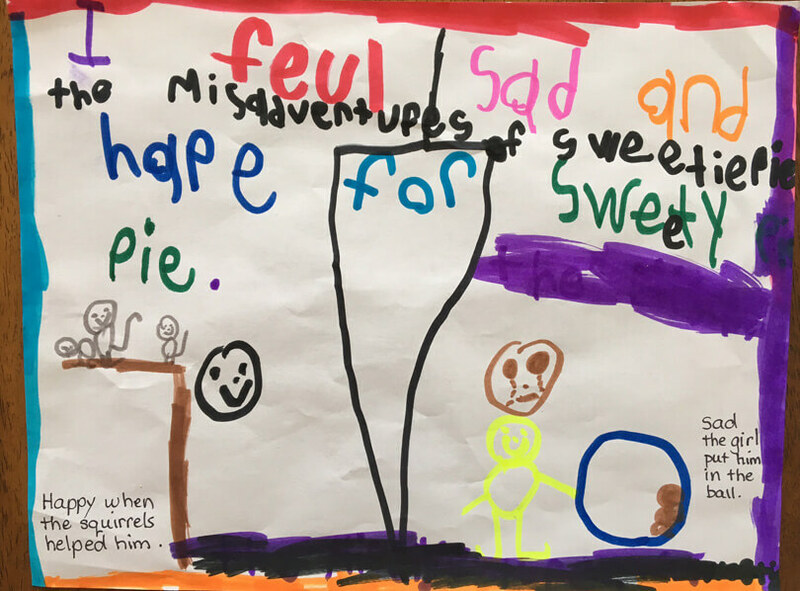 And wonderful to see kids' responses to literature! He's one of the best! Thanks for stopping by, Beth. Your class is very empathetic! Good news for their pets. Thanks, Cathy. That's exactly what I was thinking. Lucky pets! I can see how this story will make better pet owners out of its readers. That poor little hamster. I'm adding this book to my library list. Fantastic post! Thanks for sharing all the resources, activity and thoughts from your class! Hey you're welcome, Julie. Thanks for stopping by! I agree completely! 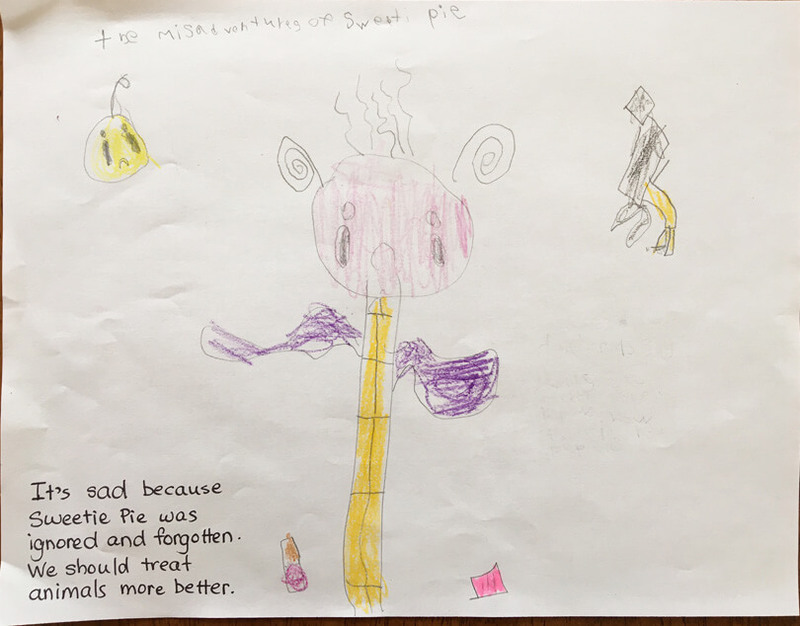 Kids should learn about how their actions can lead to good or bad consequences. I love how you used this book in your class! You are a fantastic teacher! I'll bet those kids will remember this story and recognize how good intentions can turn out wrong if you aren't careful. Thanks for highlighting this book! Thanks, Jilanne :) I'm hopeful that many of them WILL remember the book and the lovely conversation we had about it! Thanks for sharing your experience with your class and his video. That further increased my interest in reading this book. I love his other books, so I will give this one a try as well. The measure of a society is judged by how they treat the weakest members. I think this is important for our kids to understand - for animals and people. Oh I love that quote (Mahatma Gandhi maybe?) and I completely agree. I haven't read a Chris Van Allsburg book in a while. I love his work. I agree with you and your students. This is a story about caring for and loving their animals/pets. It also made me think of the neglect some kids face, how they are moved around among relatives and don't have the best experience in the foster system. You're right, Patricia. I didn't make that connection with the foster system. Certainly something to think about.